Rory visited Rutter Falls Self Catering Holiday Cottages on Saturday to discuss the business’ successful use of ultrafast broadband. Since his election in 2010, Rory has made increased broadband coverage a central priority and, to that end, he has consistently lobbied the government, councils and providers. One of the results of these efforts has been the Connecting Cumbria project, which was launched in 2013 as a partnership between Cumbria County Council and BT. It is designed to bring superfast broadband coverage to 95% of homes and businesses in Cumbria by the end of 2018 and has enabled some 700 fibre structures so far. Coverage, at present, is at 93%, with 127,000 homes and businesses having already benefitted from the scheme. 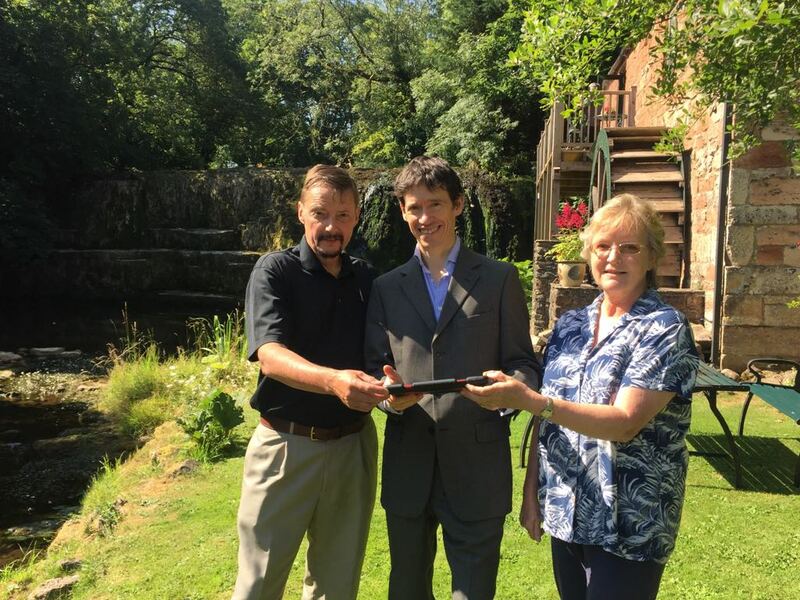 Rutter Falls Self Catering Holiday Cottages, run by Jim and Jane Wilson, has recently taken advantage of the scheme and, as a consequence, they are able to run their business more efficiently and offer ultrafast broadband as a further attraction to guests. Rory was keen to hear more about their experience as, during his visit, he was shown the benefits of a Full Fibre network connection.